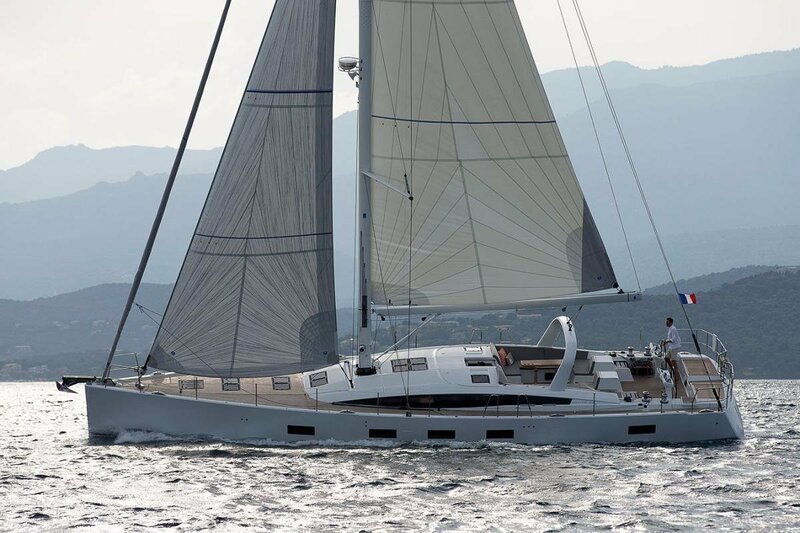 Born of a close partnership between Philippe Briand and Andrew Winch, the Jeanneau 64 features elegant lines with classic proportions. 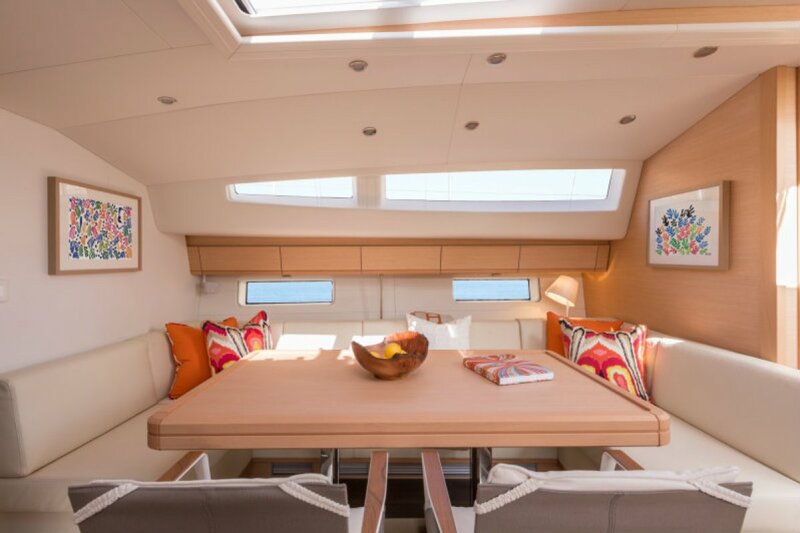 Contemporary deck styling gives the yacht a timeless appeal. 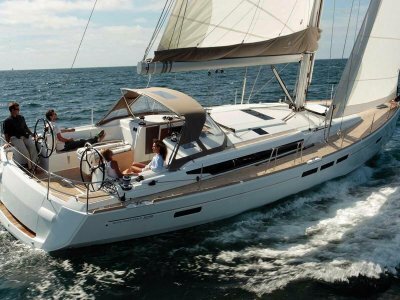 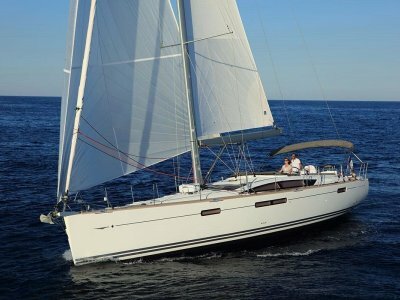 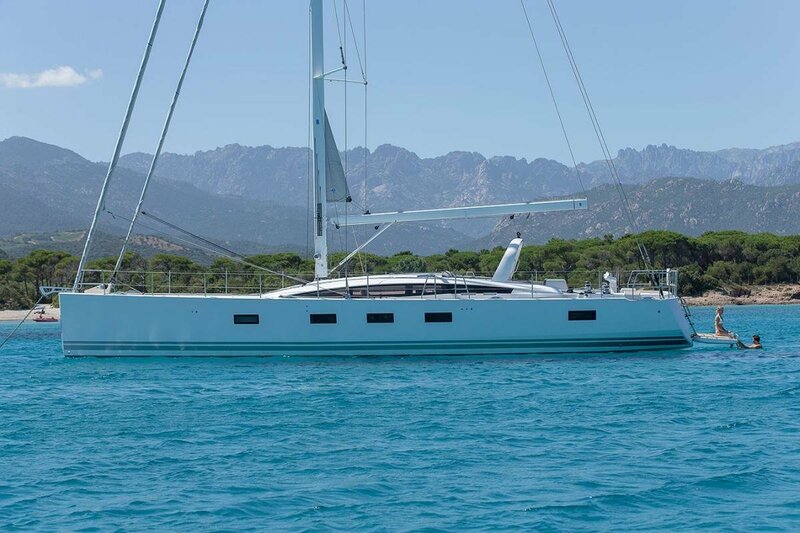 Every Jeanneau Yacht is designed to be a sailor's boat, and the Jeanneau 64 is no exception. 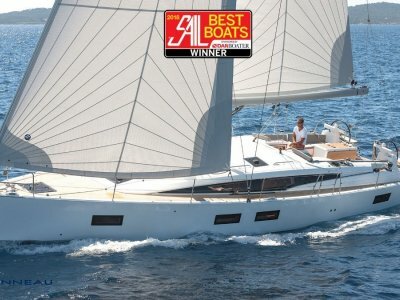 This flagship is secure, fast, and enjoyable to sail. 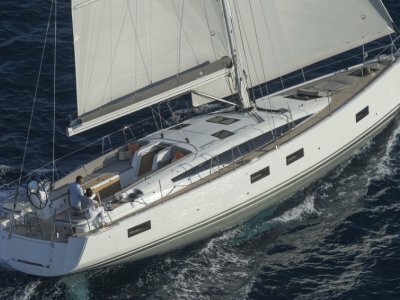 Philippe Briand has delivered a modern hull that incorporates a hard chine for increased speed, stability, and interior volume. 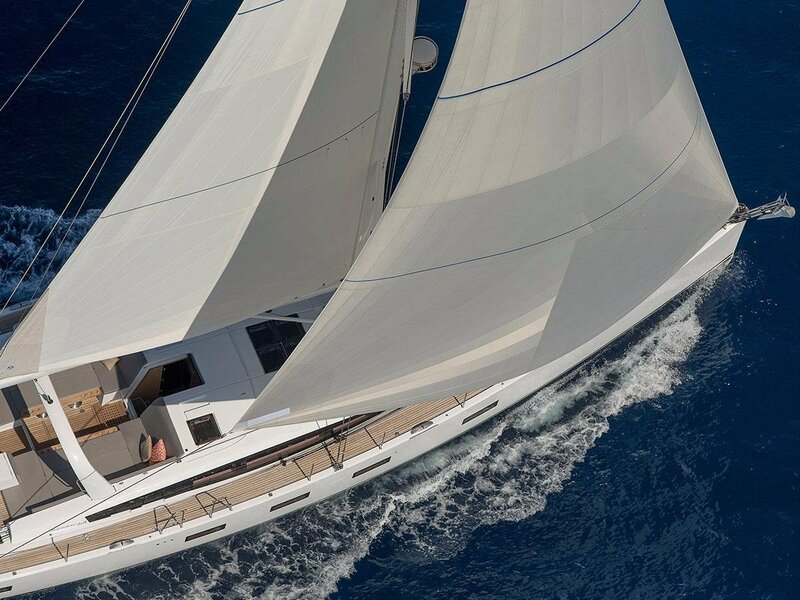 Integrated captive winches, a large selection of diverse sail plans and centralised sail handling ensure an ease of use unparalleled in this category of yacht. 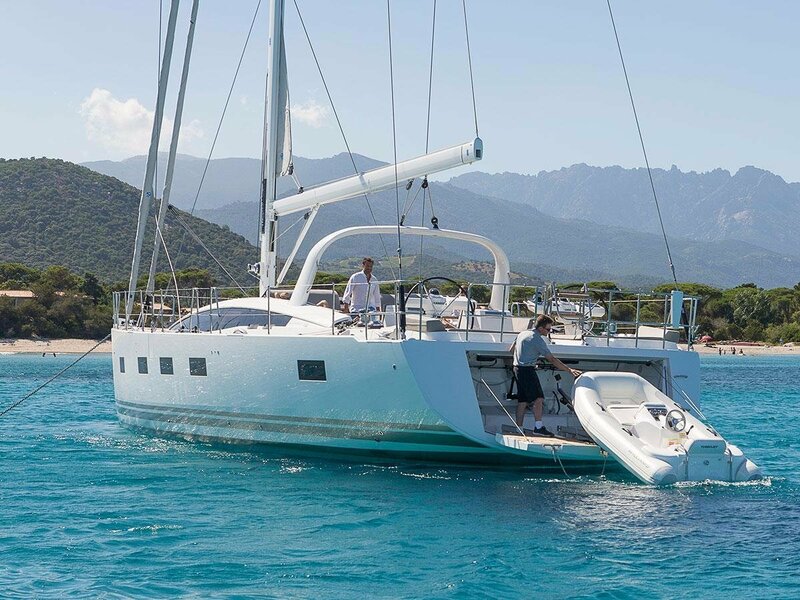 Twin thrusters and a powerful engine mean easy docking and comfortable cruising speeds while under power. 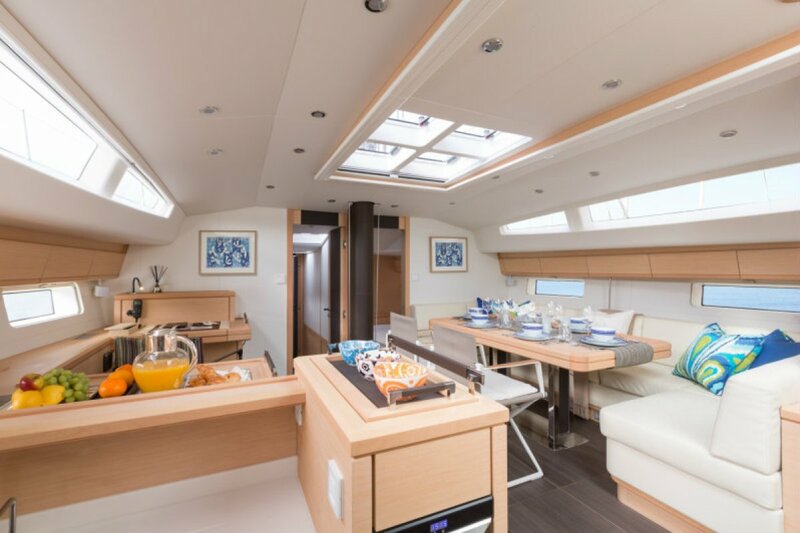 The transom, with a sundeck and a large garage, along with the expansive foredeck, allow for easy handling of different sizes and types of tenders. 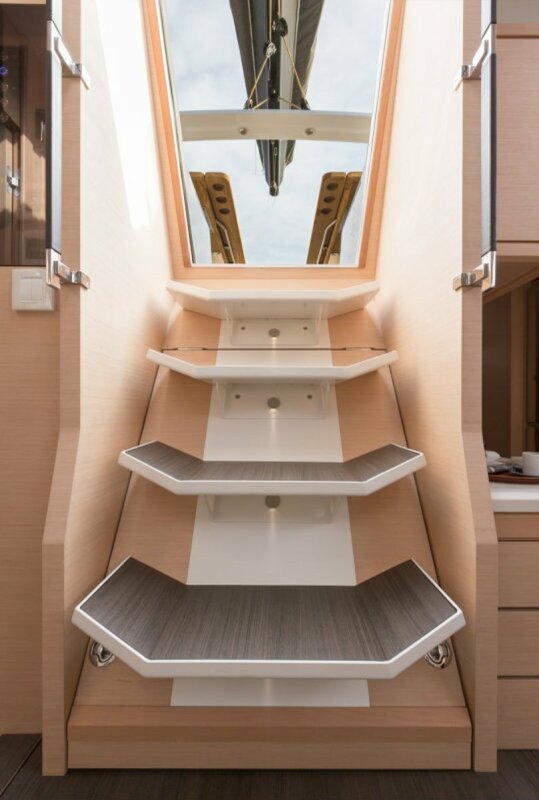 The traditional transom can be replaced with a flush, walk-through transom for a sportier look and increased floor space in the cockpit. 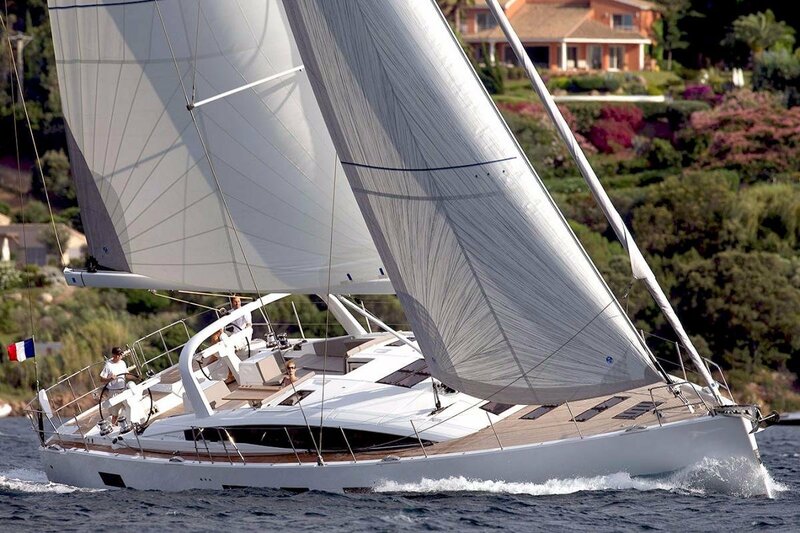 Life aboard a yacht is lived in the fresh air. 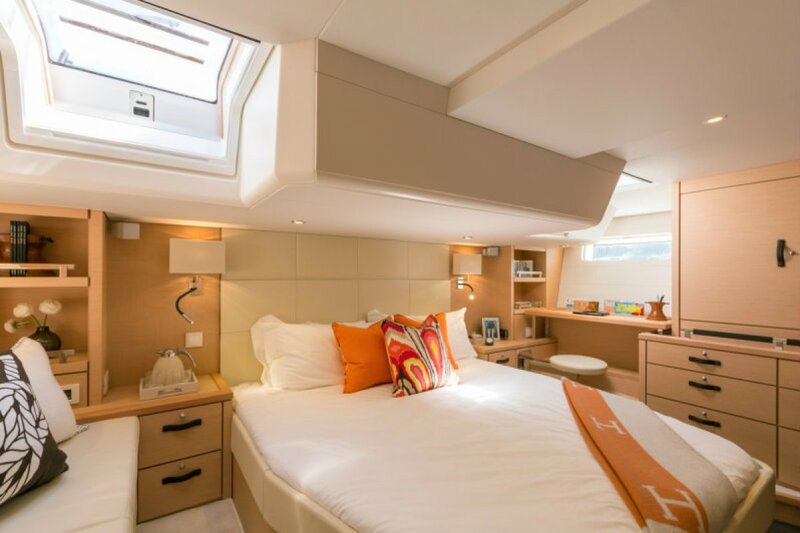 Careful attention has been paid to the way we spend time on board, with dedicated spaces for relaxation, reading, cooking, dining and sunbathing. 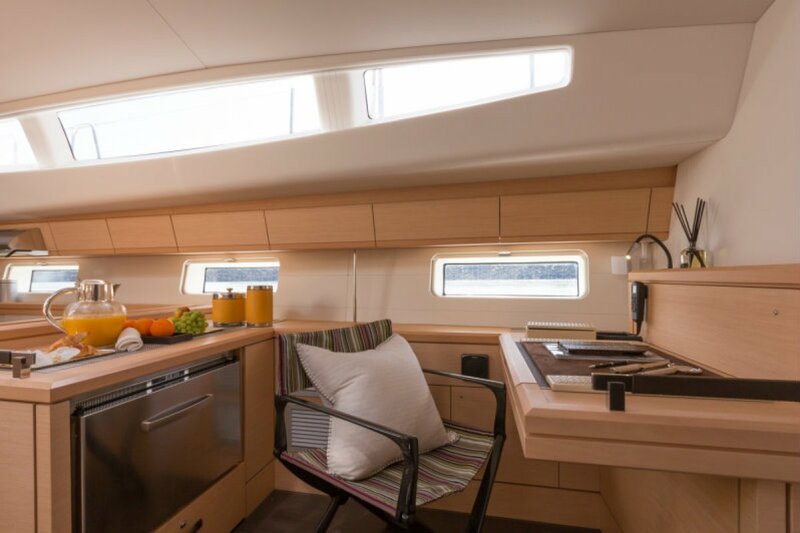 Outdoor living and entertaining is a breeze thanks to an exterior galley that includes a grill/plancha, sink and large refrigeration compartment. 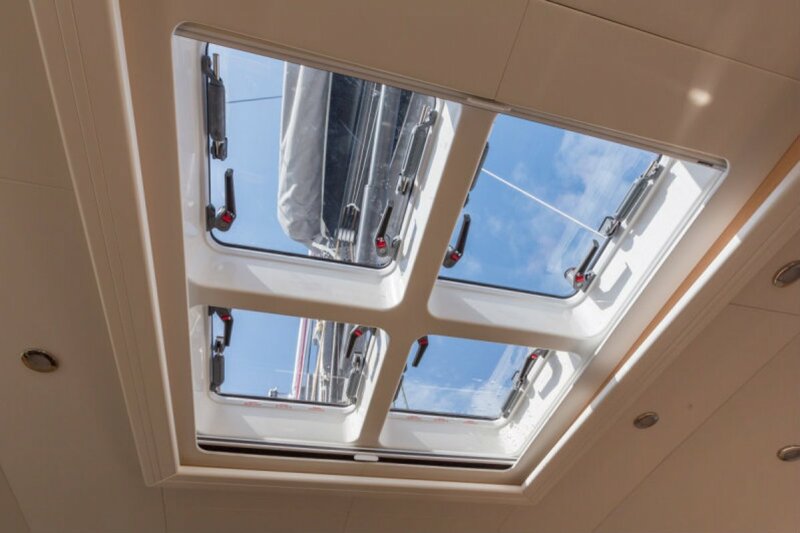 No need to run down below for any creature comforts. 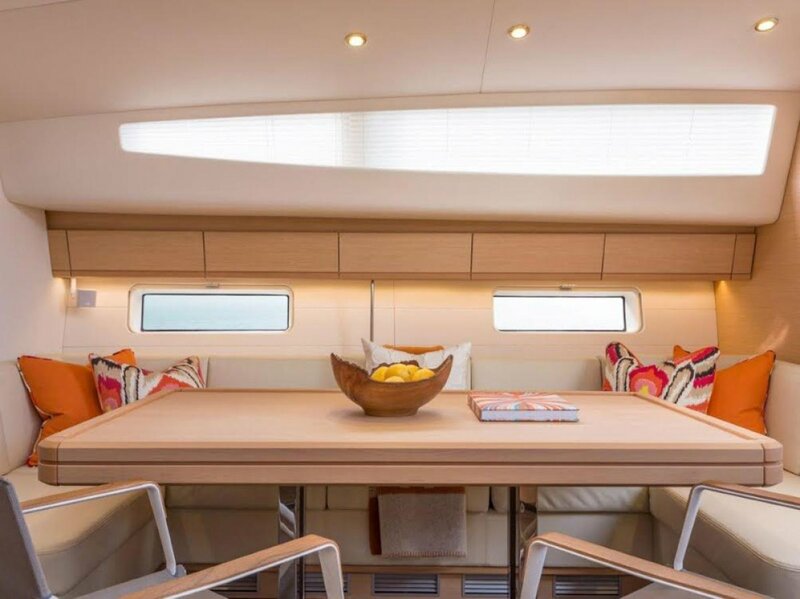 Meticulous attention to detail, quality and style are the hallmarks of Andrew Winch's designs. 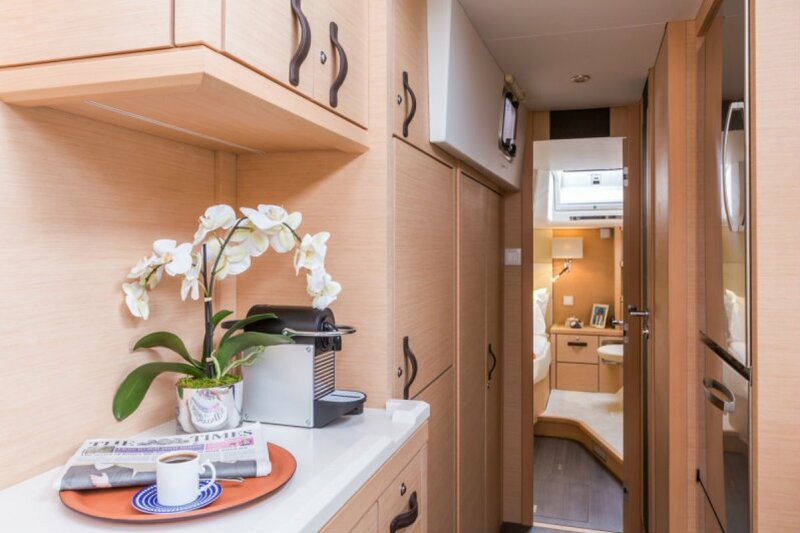 Every space has been carefully considered for comfortable living. 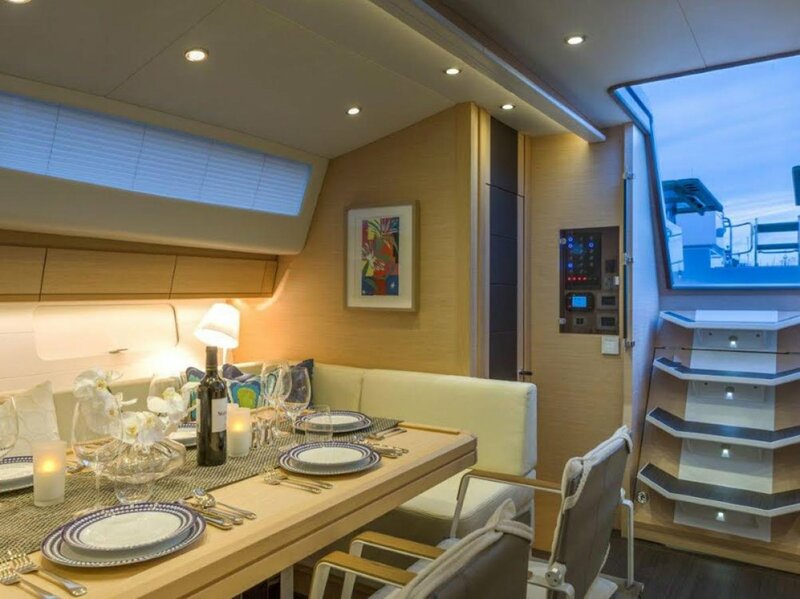 A professional-grade galley with top-of-the-line appliances includes stainless steel fridges, space for convection and microwave ovens, and a household-sized dishwasher. 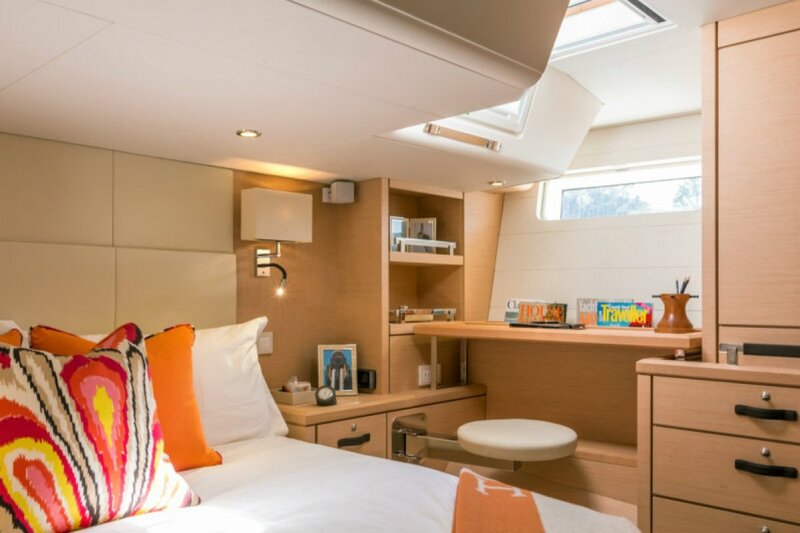 Multiple possibilities are available for dedicated skipper accommodation, from extra space in a lateral cabin to special cabins fore or aft. 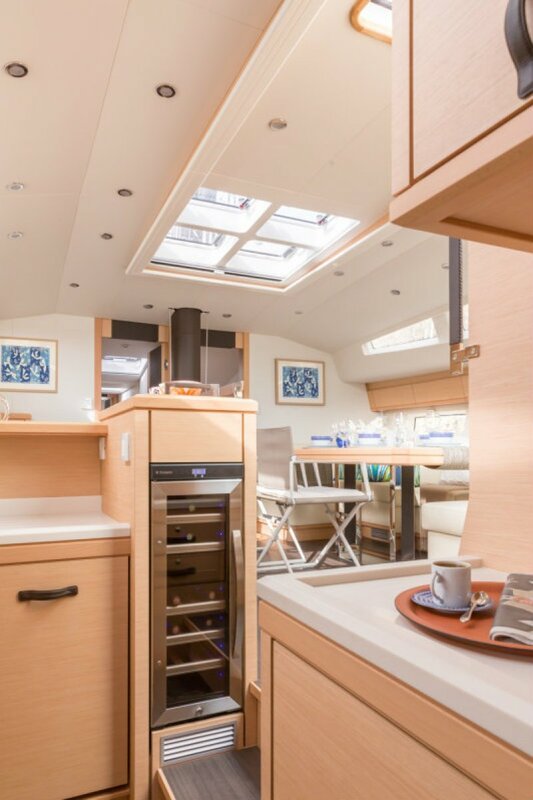 Innovative interior options include a family suite for four people, a full workshop, and laundry facilities. 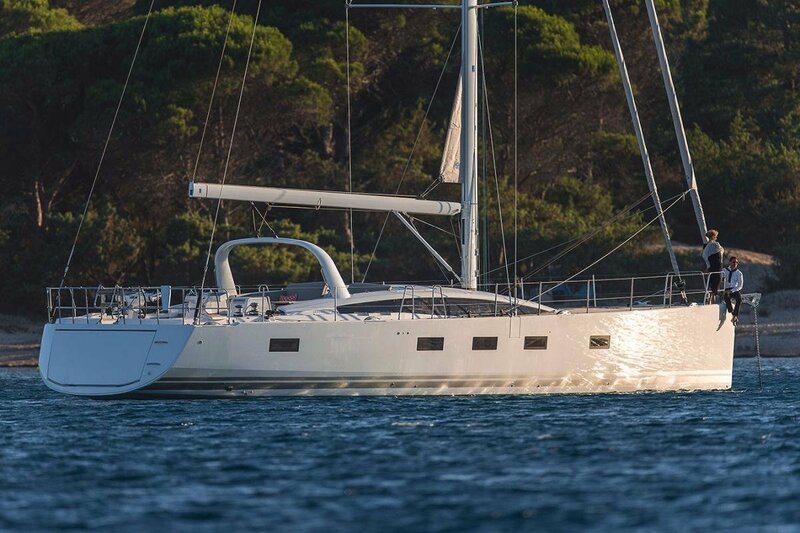 With several thousand possible combinations of fabrics, woods, leathers and interior and exterior layouts, the Jeanneau 64 is truly a semi-custom yacht. 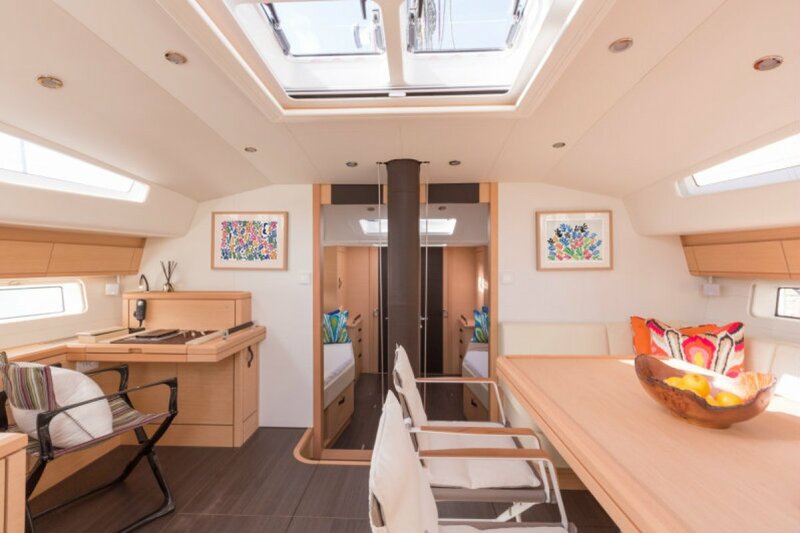 A full engine room allows for easy and centralised access to pumps, electrical systems, the engine, filters and domestic systems, while also insulating the interior from noise and vibration.